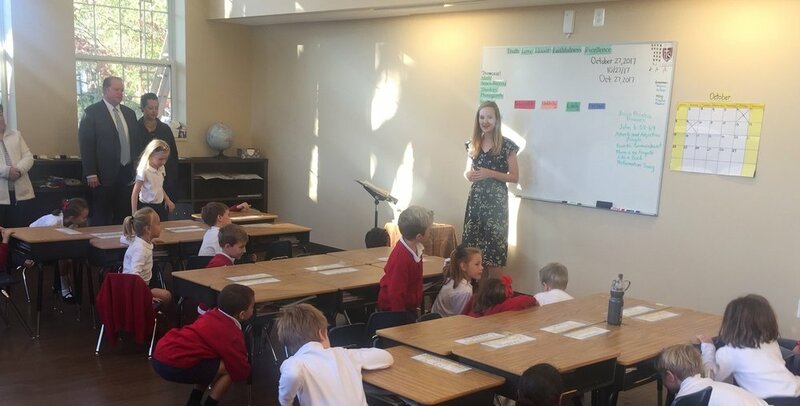 Our "Meet Us Mondays" series continues this week with another member of our excellent ILS Lower School team, our 1st grade teacher, Miss Kirstin Reistad. We hope that you enjoyed this feature and opportunity to better know the wonderful faculty members who love teaching and learning with our students each day. Enjoy! Free Soil, Michigan. One of my favorite vacations was when my entire extended family stayed in a cabin there, overlooking Lake Michigan. 2. What is one place you would like to visit but have not yet been? I would love to see the fjords of Norway. 3. If you could have coffee with anyone, who would it be? Jonathan Reistad. I love living in Alexandria, but miss when it was easier to have coffee dates with my younger brother who lives in Texas. Being in the company of amazing teachers and administrators. 7. What is your favorite sport to watch or play? I love watching baseball. Go Twins and Nats!